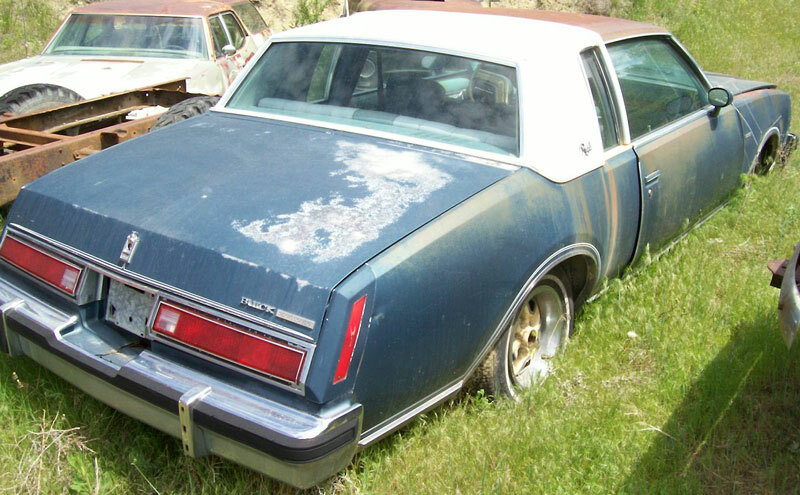 This dark blue 1978 Buick Regal 2 door Sport Coupe is a very solid and straight classic car ready to be restored or used the way it is. This car is loaded with air conditioning, power steering, power brakes and power windows. The original paint is faded. The white vinyl top is not peeling. All the glass is good. The front panel hood ornament is gone. The front of the left front fender is dented. The right rear bumper guard pad is missing. the car has rallye wheels. The center badge of the right rear wheel is gone. 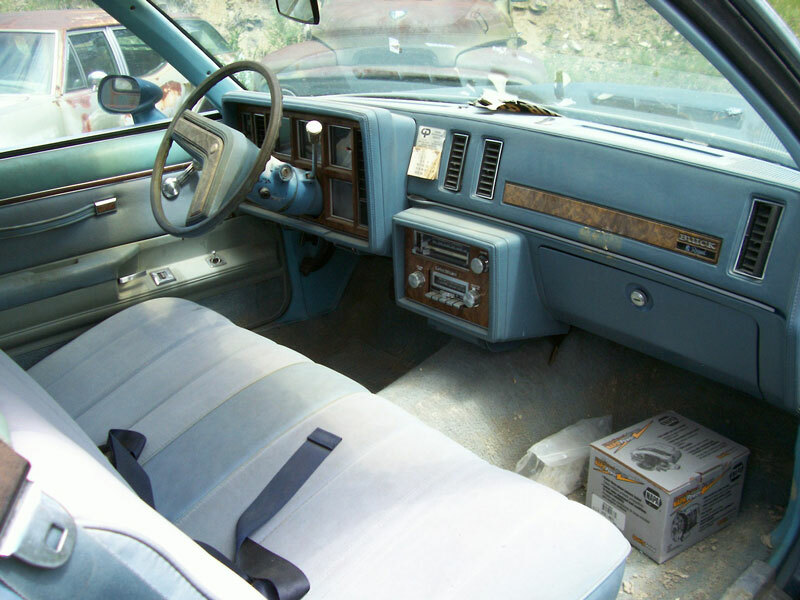 The light blue and grey interior is in good condition. The floors are solid. The 231 CID 3.8 liter turbo charged OHV 165 HP V-6 motor and automatic transmission are all there. The motor runs well. We have not driven the car so the driveability is unknown. 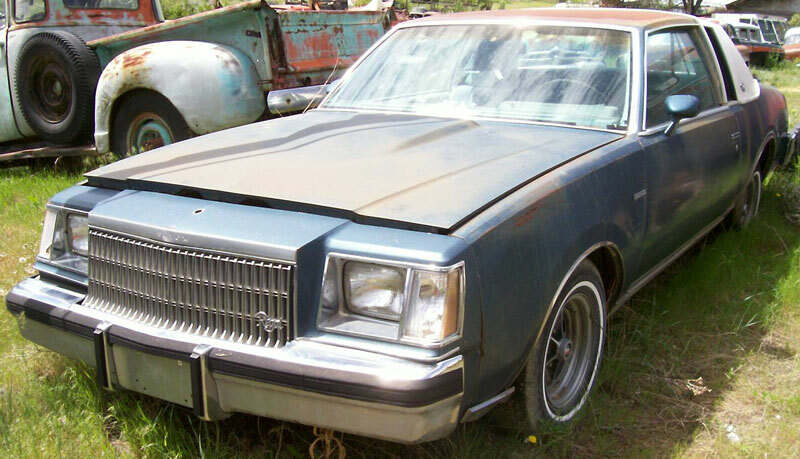 Here is your chance to own and drive a luxury 78 Buick Sport Coupe. 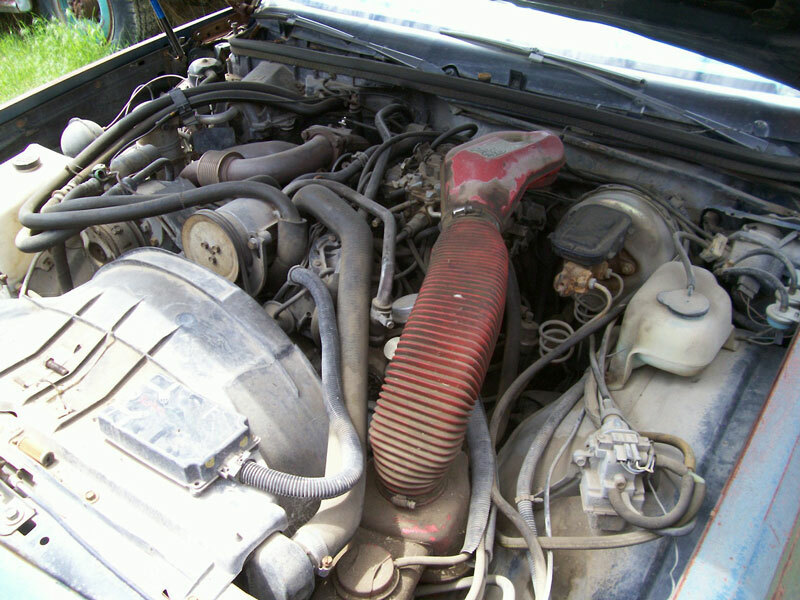 Please call 406 318-0270 for details about this restorable classic project car. For sale $2,000.